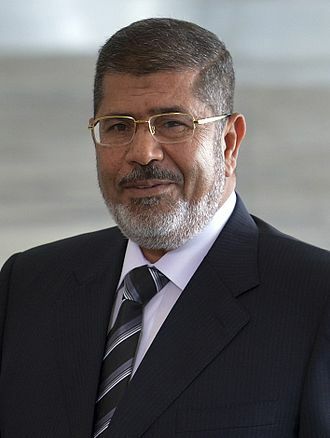 The term of President Mohamed Mursi ended abruptly Wednesday, as the Egyptian army took control, arrested him, and declared his government over. A coup, in plain words, toppling the country’s first democratically elected president from power. We should be outraged. Or should we? Mursi’s missteps, succinctly recounted in this Reuters article, seemed to almost ensure his demise, but incompetence, even recalcitrance, alone doesn’t justify annulling a popular election. What doomed his regime, and what, to me, provided reasonable cause for his removal, was his November 22 hijacking of the constitutional assembly process. On that day, he assumed for himself emergency powers, by which any and all oversight of the assembly, previously packed with his Muslim Brotherhood compatriots, was crushed. This included any discussion of the packing itself. When the assembly predictably returned a constitution leaning heavily toward Islamist principles, the public rebelled, and took to the streets once again. Mursi’s response: quell the demonstrations, force an early referendum, before the opposition had a chance to organize itself, and ram the new constitution through. Every move after that was right and proper, according to the new constitution, but if the constitution itself is suspect, such legality is moot. Mursi’s victory was on the slimmest of margins, and was largely the result of the disunity of the opposition. As it was, he was forced into a runoff against Ahmed Shafik, who was arguably handicapped by having been Prime Minister under Hosni Mubarek. Shafik still managed 48.3% of the vote. This is the crux: having won by a small margin, Mursi proceeded to rule as if he had a crushing mandate, assuming emergency powers when conventional channels disfavored him, and thoroughly ignoring any of the concerns of the opposition, accusing them instead of subversion. No compromise. So, the burning question is, is democracy simple majoritarianism? We hear a lot about majority rule with regard to democracy, but is that all there is to it? In the United States, the constitution, specifically the Bill of Rights, declares otherwise. The very concept of rights quite bluntly limits the power of the majority to enforce its will, and protects minorities from its ill will, right down to the individual. I use the term “minority” here in its strict sense, not the political sense of identifiable interest group. But on a subtler level, the implication is that the interests of such minorities must be taken into consideration by the leaders elected by the majority, even when swept into office by groundswell. Still more, when the margin of majority is as thin as spring ice. Which brings us to the infamous gridlock of American politics. It is grounded on the idea that, in a democracy, the winner takes all, that it is unnecessary, even irresponsible, to compromise with the losers. We seem to have a lot of Mursis in American politics these days. Let’s take Egypt’s fate as an object lesson, and avoid that treacherous path.